FIREPLACE SURROUND - What stone was used for the fireplace surround as well as the slab used for the hearth? This stone and slab were supplied and installed by Allstone Quarry Products of Schomberg, Ontario. 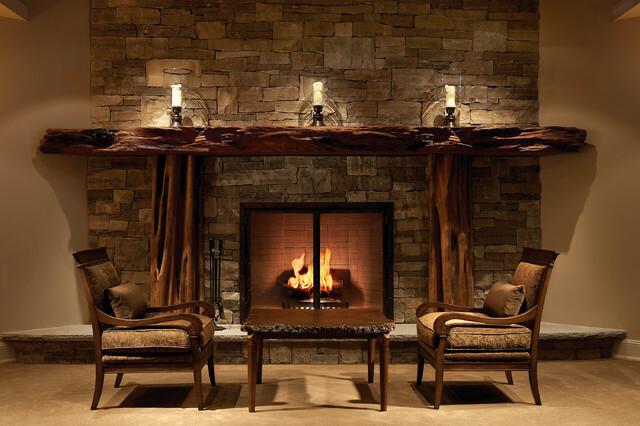 I like the "organic" wood mantel and the stone is a good shape/size too.